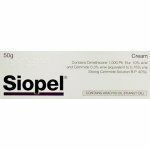 The cream contains two active substances, phenol and chlorhexidine digluconate. Phenol and chlorhexidine digluconate have antiseptic properties for the disinfection of skin, wounds and burns. 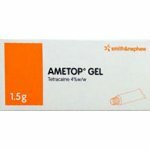 Phenol also has a local anaesthetic action for the relief of pain. The cream base helps to soften the skin and soothe irritation. Follow the directions below carefully. Wash your hands before and after using the cream. 1. Before using the product for the first time, check that the tube seal is not broken. 2. Break the tube seal by peeling from the tag. 3. Thoroughly clean the affected area of skin with warm water (do not use soap). 4. 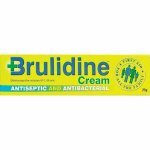 Minor cuts, grazes etc - apply the cream directly or on a dressing. Minor burns, scalds and blisters - apply the cream generously and massage in gently. 5. Replace the cap firmly after use. You may use the cream if you are pregnant or breast-feeding but as with all medicines at this time, you should discuss it with your doctor first. 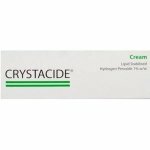 This cream contains cetostearyl alcohol which may cause local skin reactions (e.g. contact dermatitis). Avoid contact with your eyes and mouth. If some of the cream is swallowed accidentally, tell your doctor straight away or contact your nearest Accident and Emergency Department. 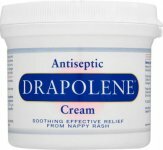 Like all medicines, Germolene Antiseptic Cream can cause side effects, although not everybody gets them. Rarely, you may experience local irritation, rash, or other skin reactions at the site of application after applying the cream. Frequent application of the cream to the same area for long periods of time or over large areas of skin may lead to skin irritation. If you are concerned about this, or if the cream affects you in any other way, stop using Germolene Antiseptic Cream and tell your doctor or pharmacist immediately. This product should be stored in its original carton. Do not use Germolene Antiseptic Cream after the expiry date which is stated on the carton and on the end of the tube. Phenol 1.2% w/w and chlorhexidine digluconate 0.25% w/w, cetostearyl alcohol, light liquid paraffin, polyoxyethylene stearyl ethers, colours (ponceau 4R (E124), sunset yellow (E110)), dimeticone, methyl salicylate and water.